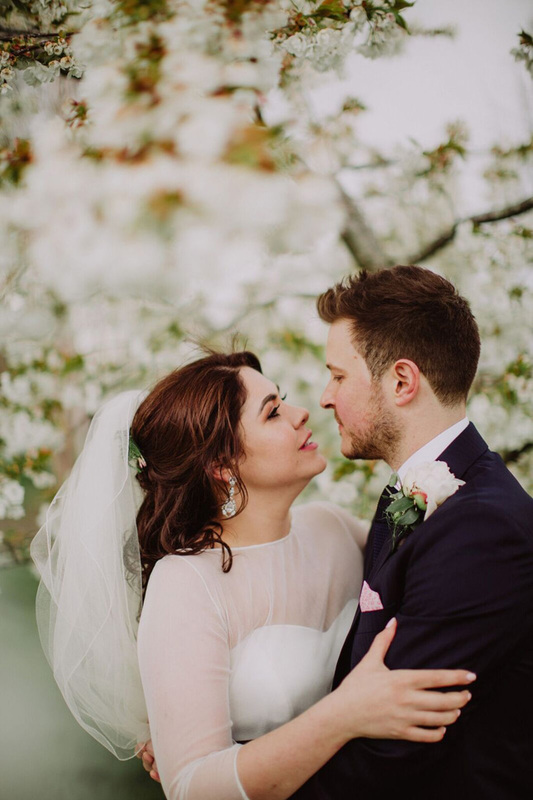 Nadya and Alex first met on a blind date, whilst Nadya was at Uni in England and Alex was on his travels. 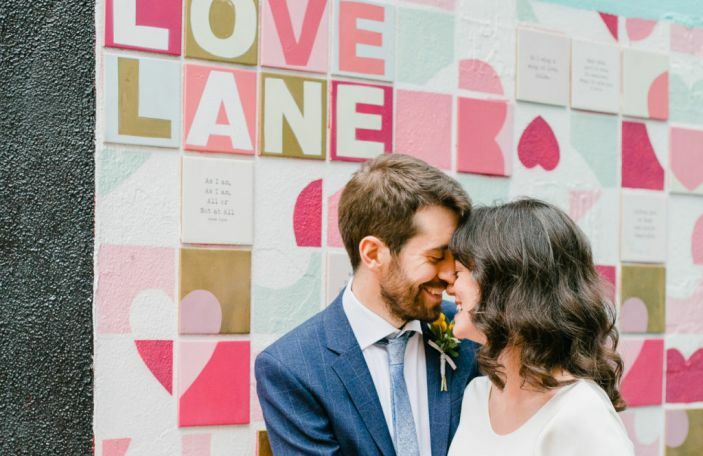 "We had a mutual friend who set us up. 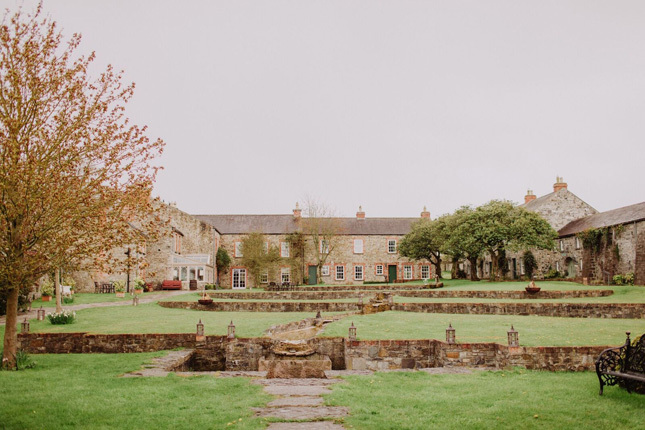 Our first date included a stroll by the River Tyne and a weirdly familiar sense of feeling relaxed and comfortable with each other. 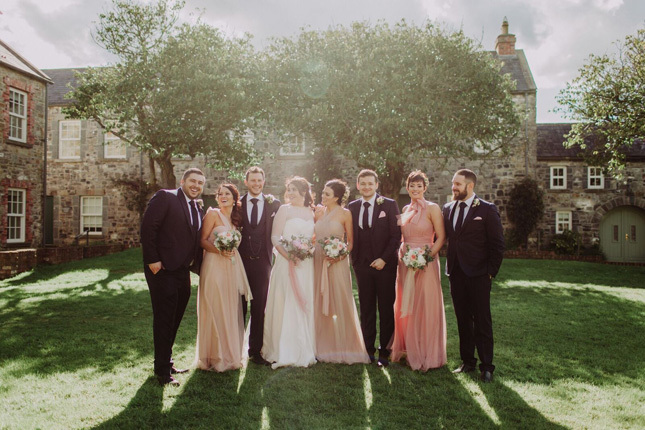 From then on we hopped countries to be with each other. 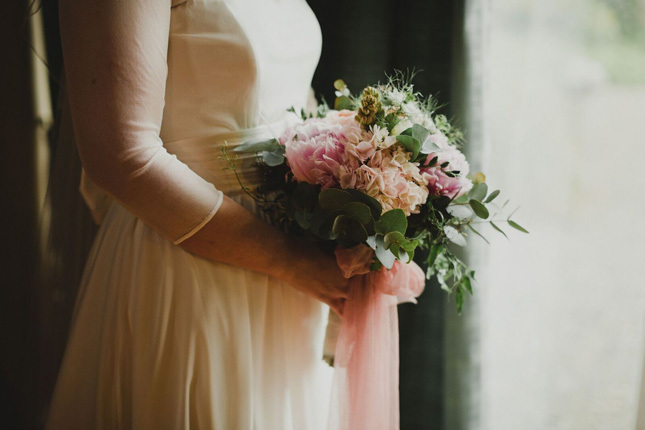 Then, six years later, Alex asked me to stay with him forever," remembers Nadya. 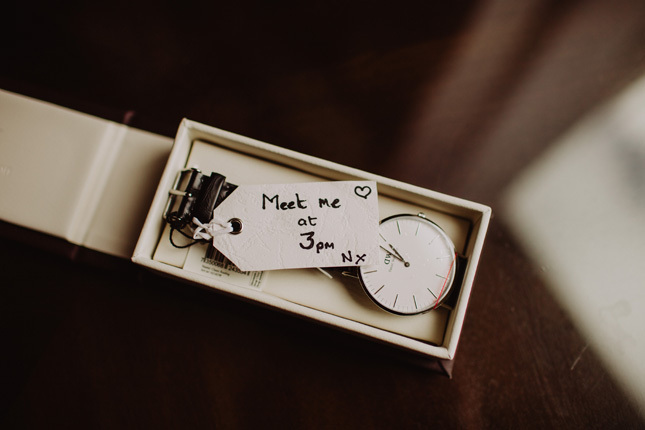 Even with her subtle hints, Alex was still behind on time. 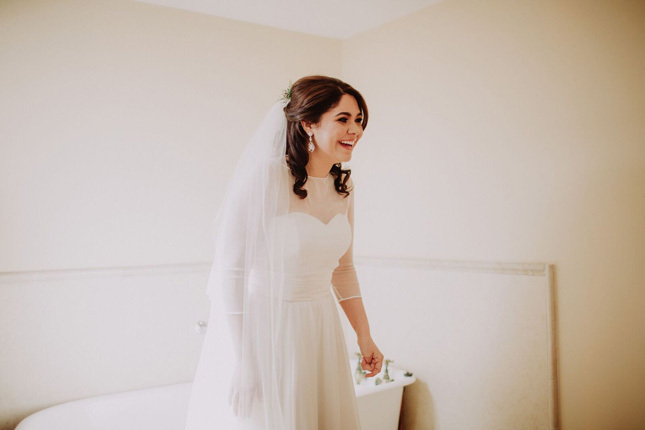 "We hadn’t properly arranged the timing of the cars, so the groom was late, while I sat patiently sipping on Champagne," laughs Nadya. 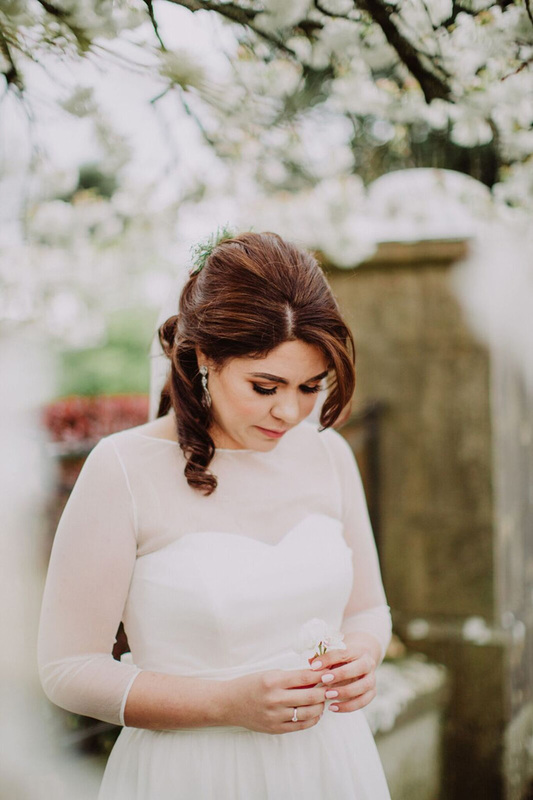 After three years in the hot Brisbane climate, Nadya missed elements of the winter period, at home. 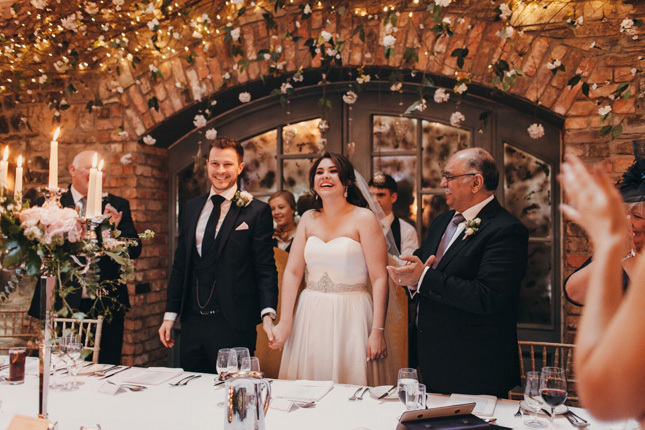 "The Christmas Market in Belfast was the perfect place for Alex to ask me to marry him - on a very windy and wintery December day, Alex pulled me aside and under the twinkling lights of the market and got down on one knee," says Nadya. 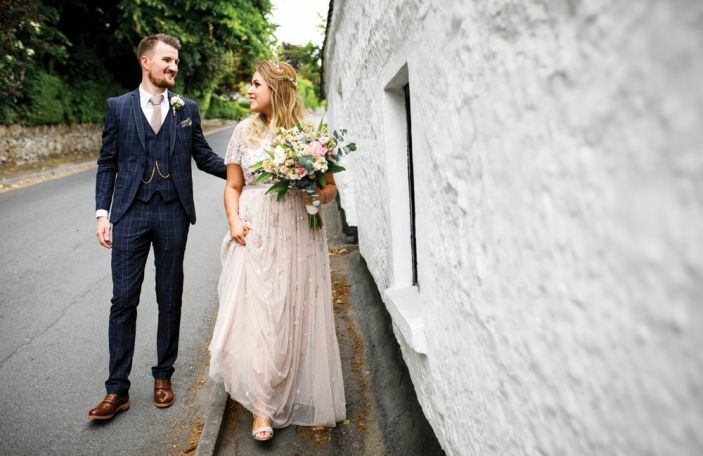 The couple tied the knot in Ballymagarvey Village, Co. Meath. 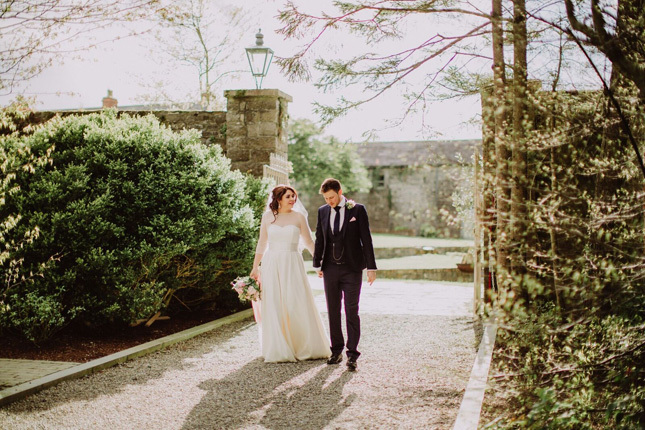 "It was perfect for myself and Alex, one of our guests even commented that it was very us - meaning it was warm and relaxed, yet refined." 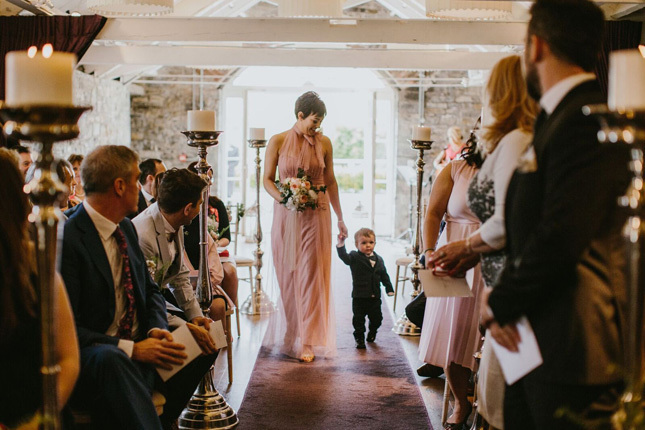 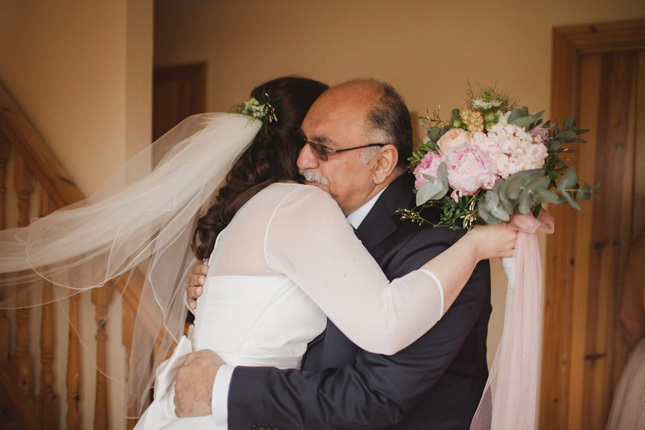 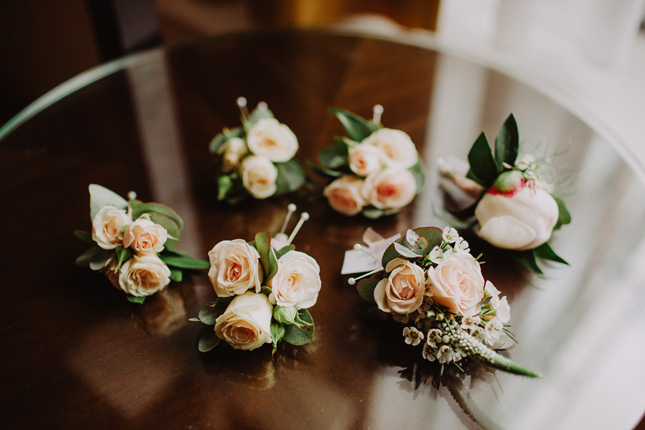 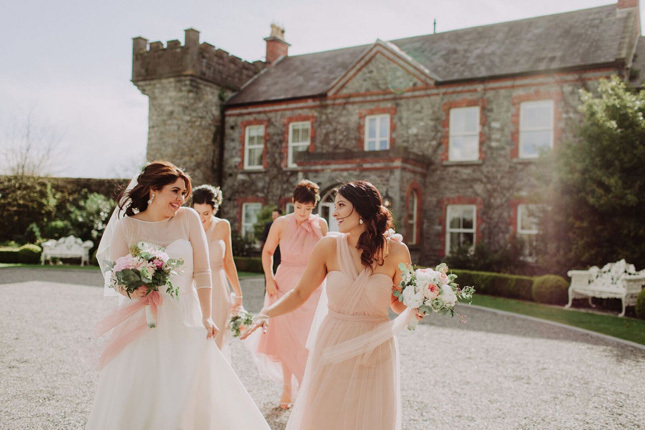 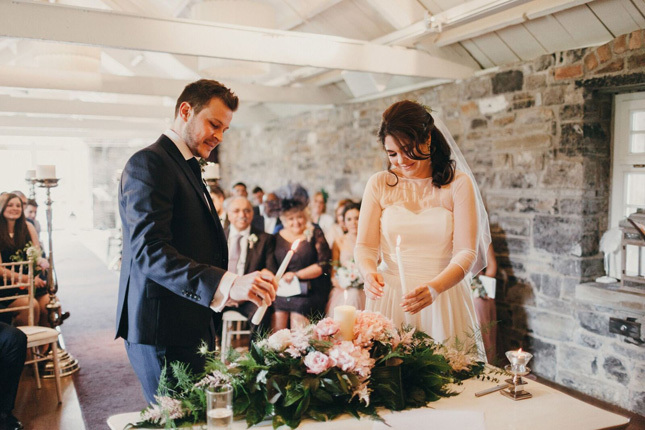 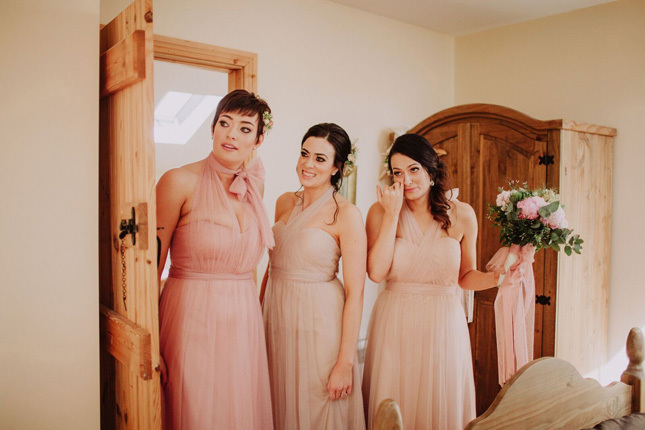 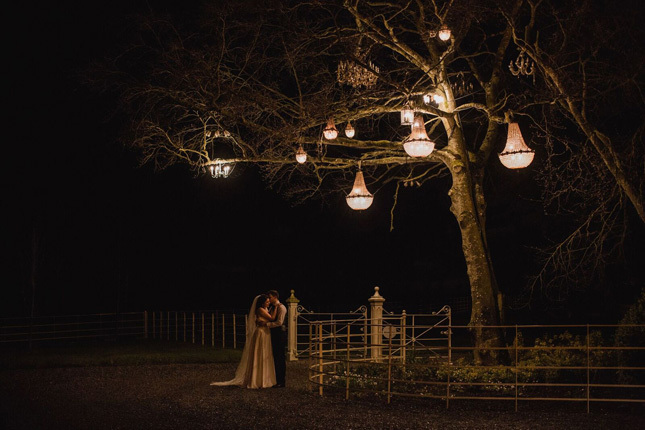 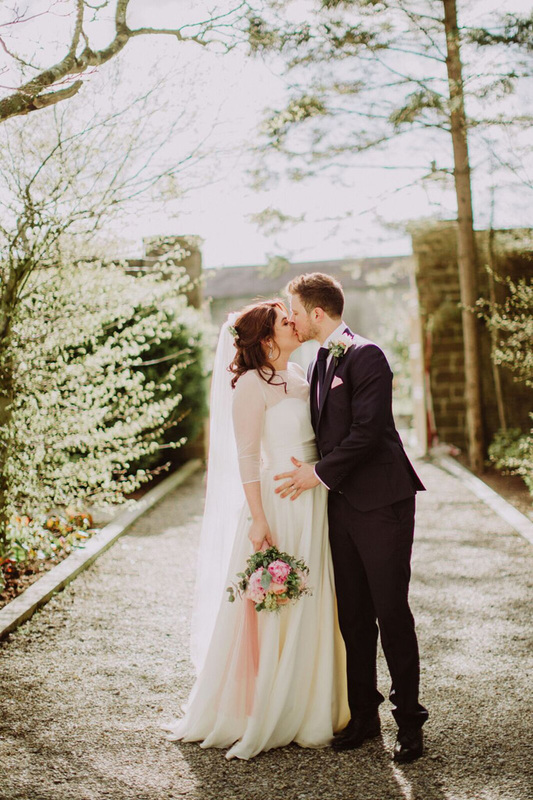 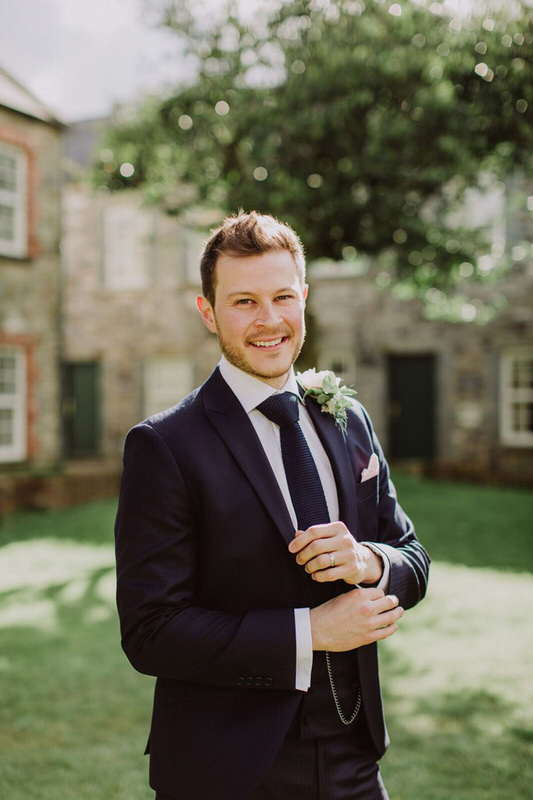 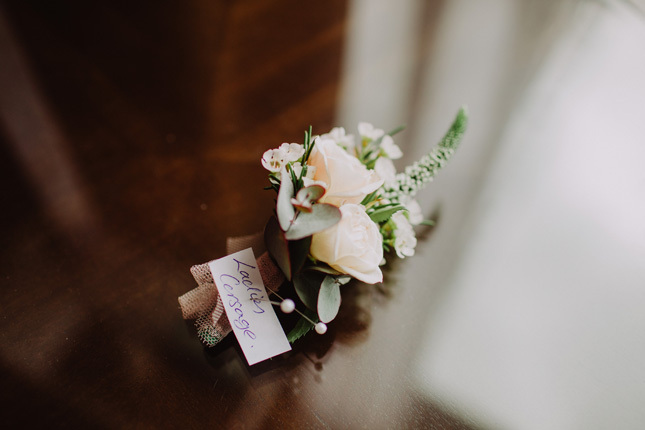 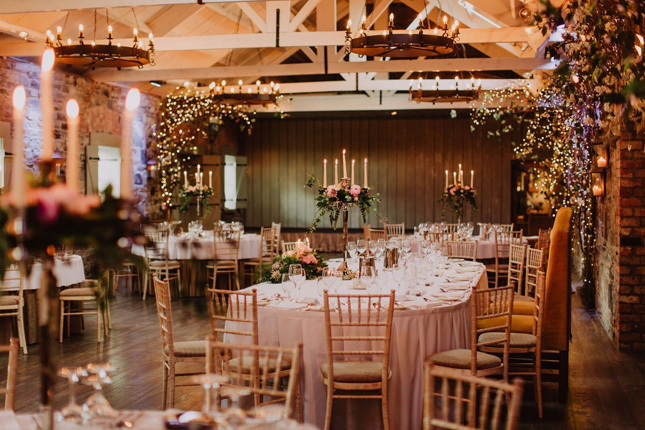 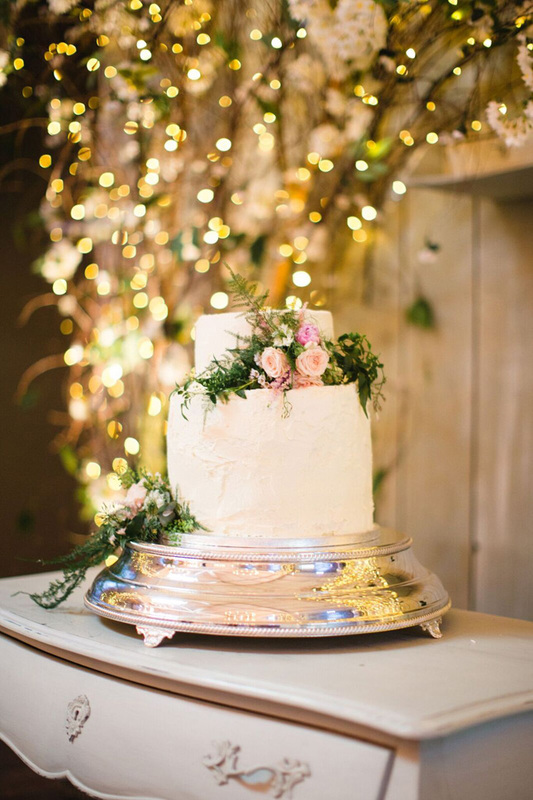 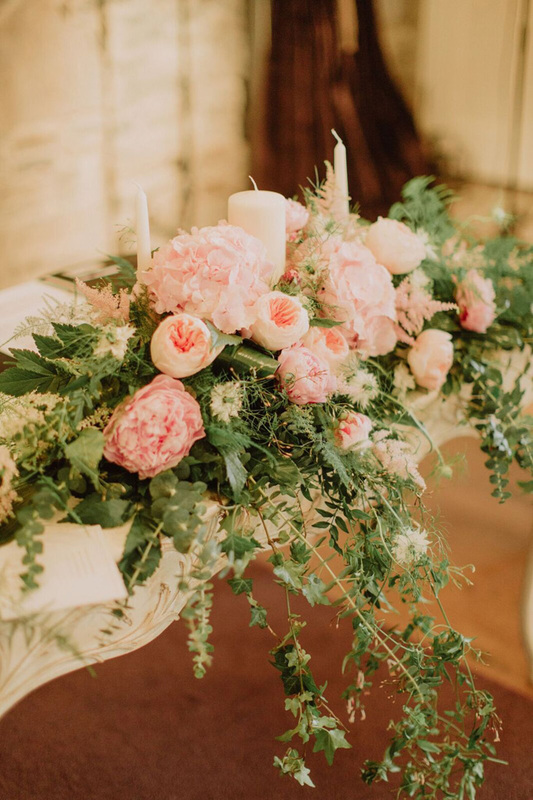 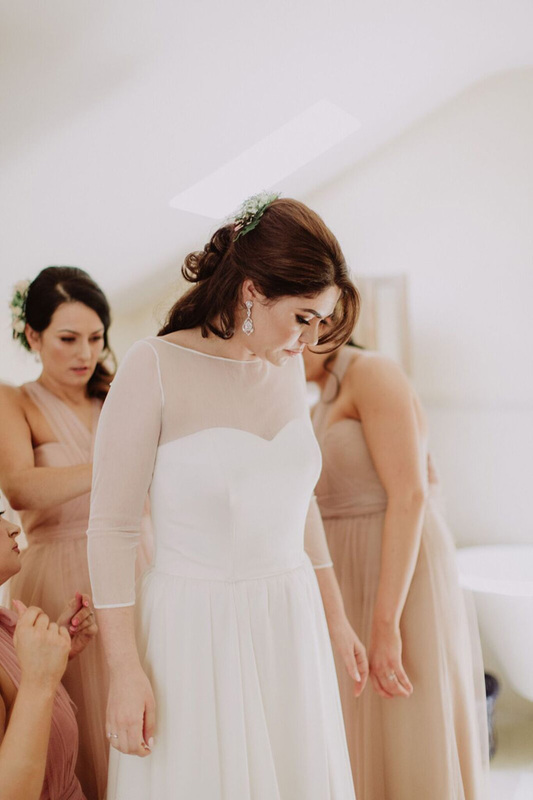 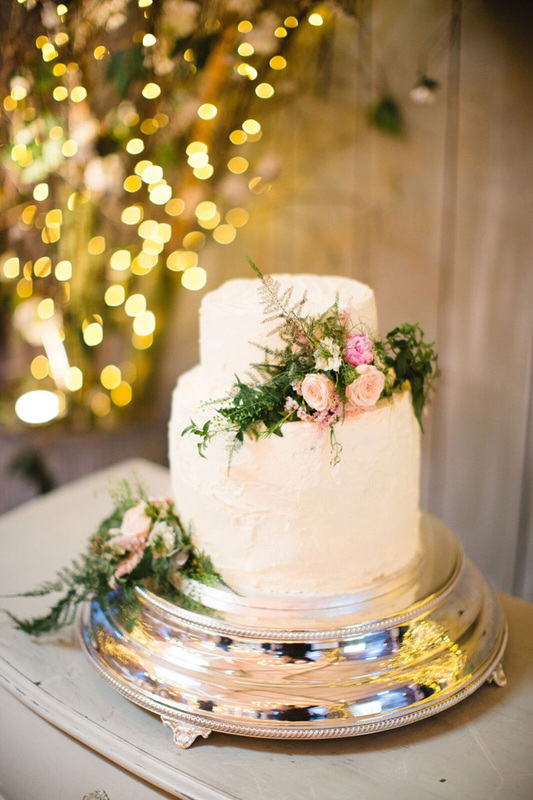 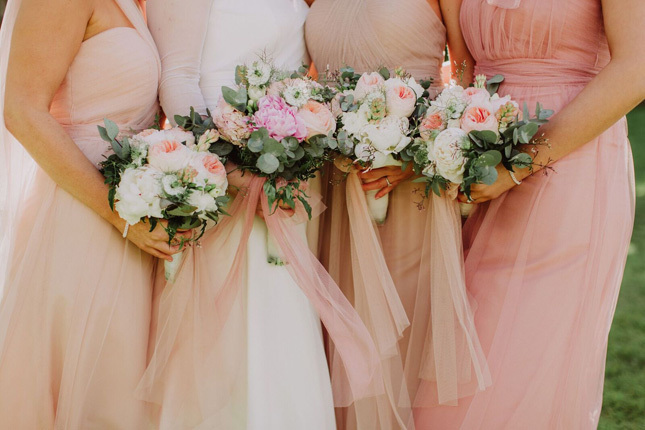 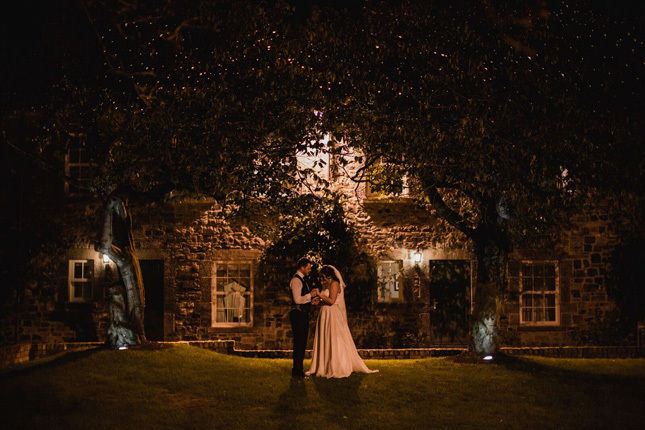 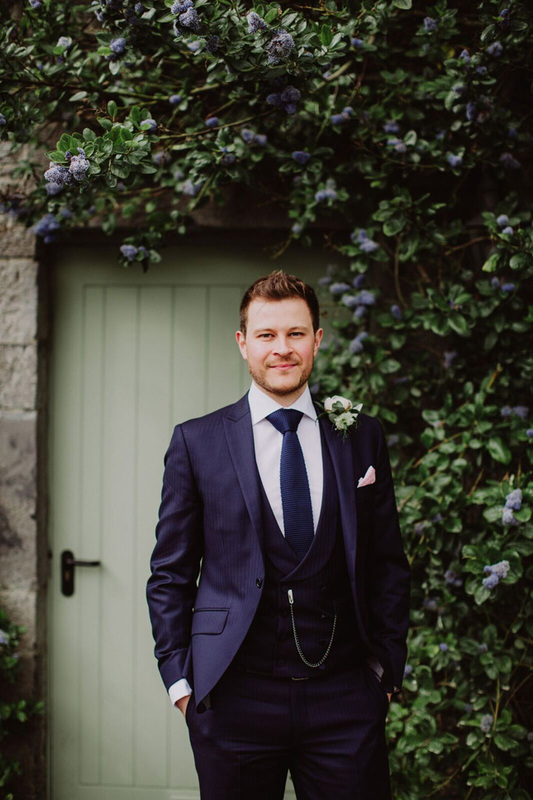 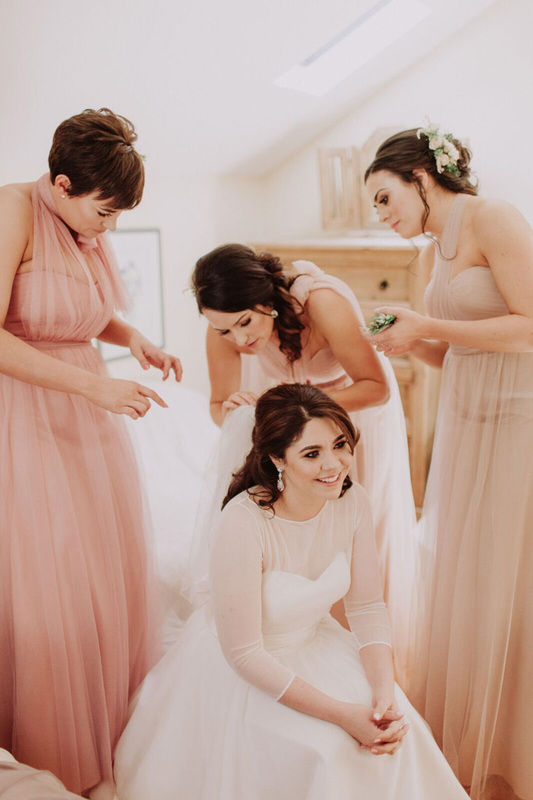 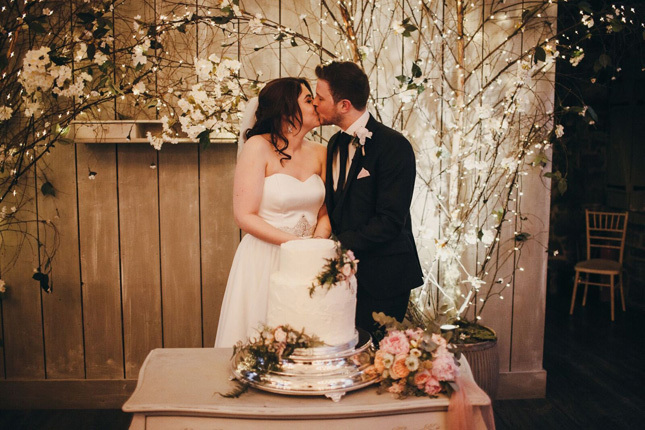 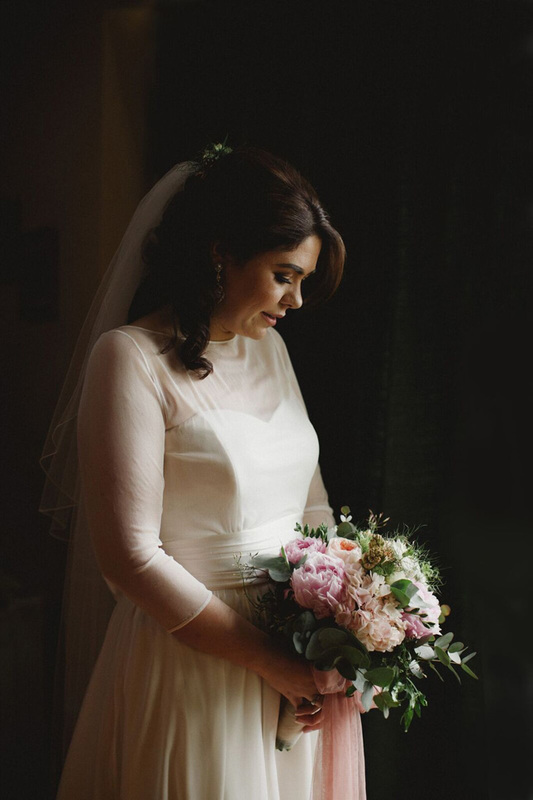 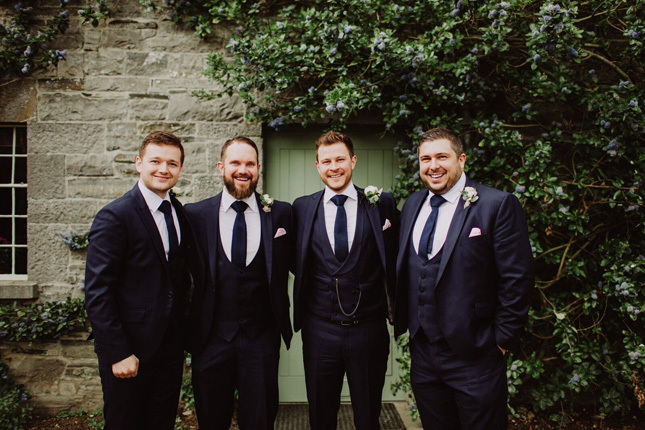 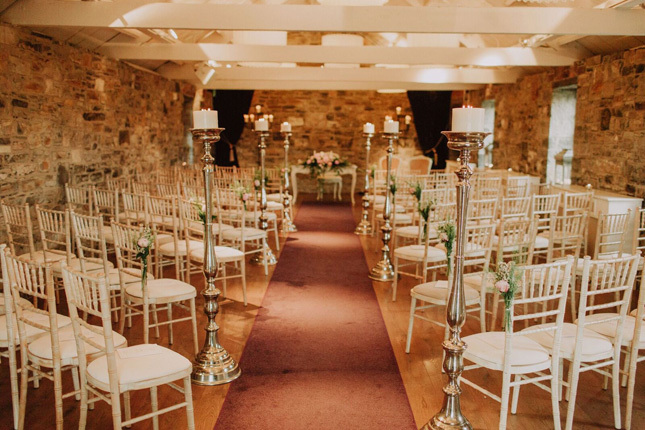 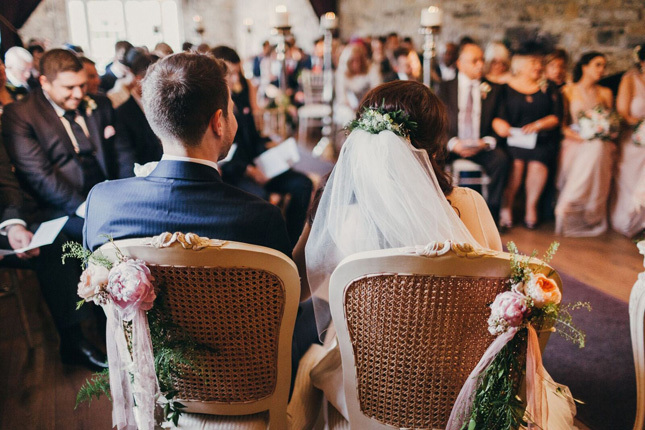 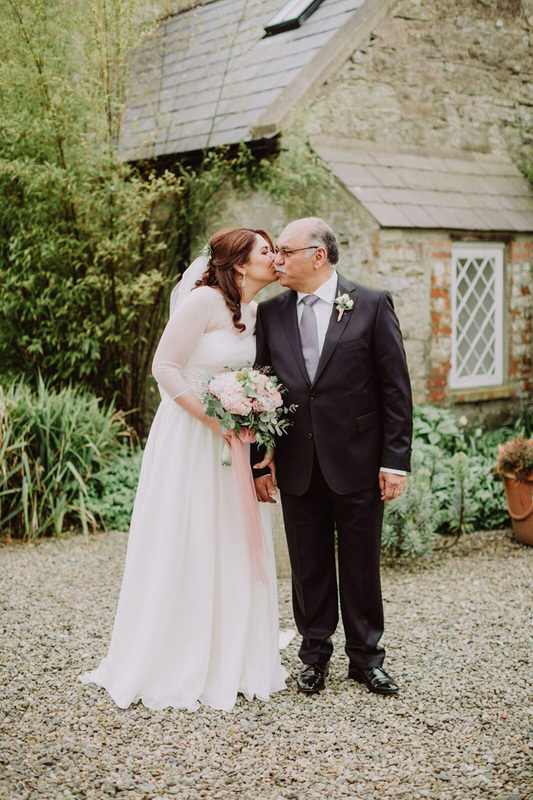 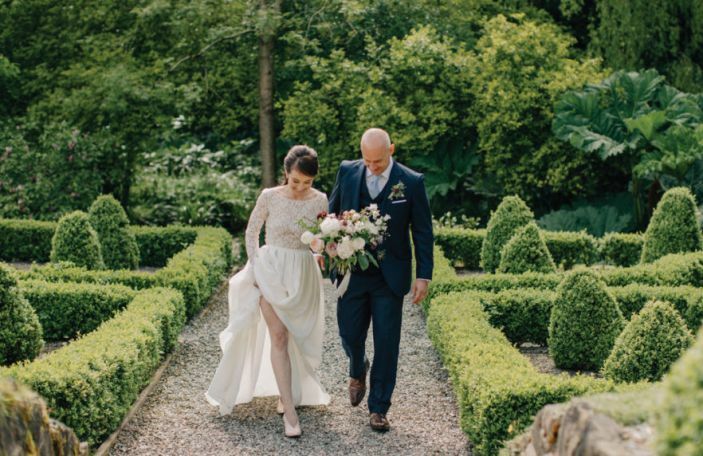 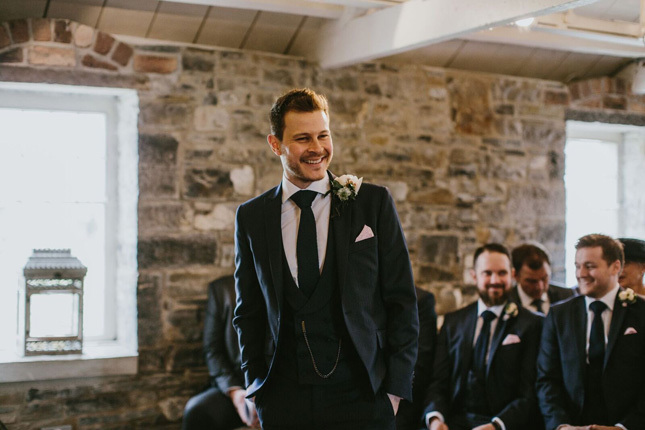 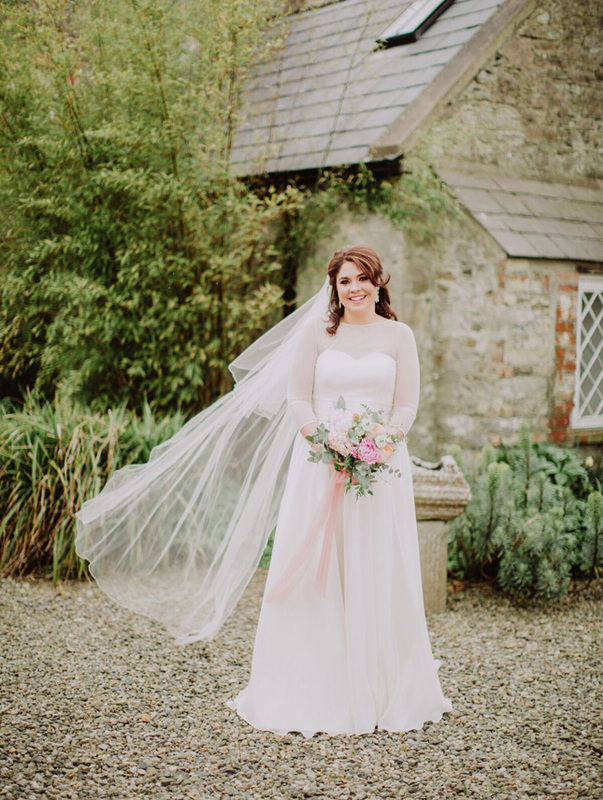 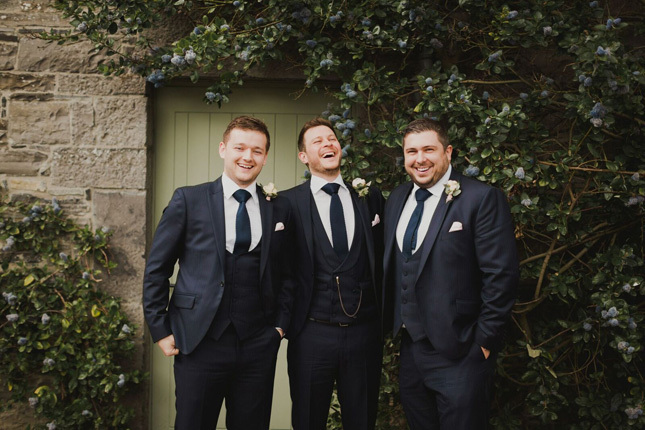 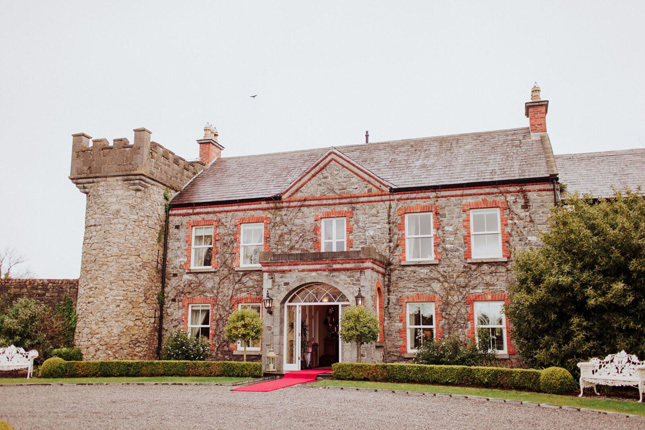 "Planning the whole day was down to both myself and Alex, however, Ballymagarvey assigned us a planner and their expertise went a long way in making our day carefree," Nadya said. 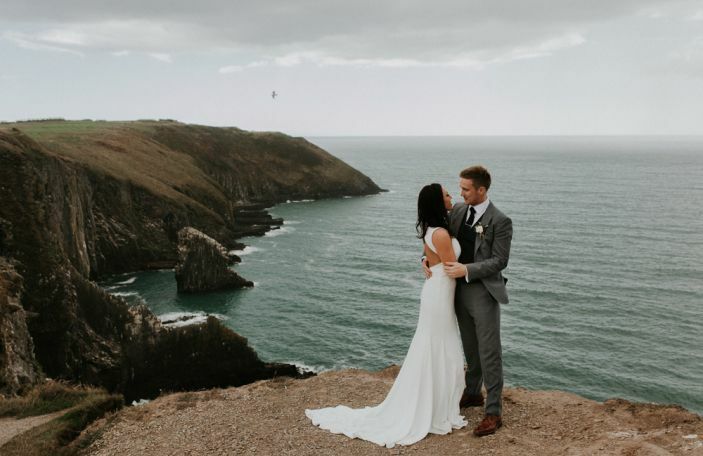 There were around 13 different nationalities at their wedding, so the couple had quite a few cancellations towards the end. 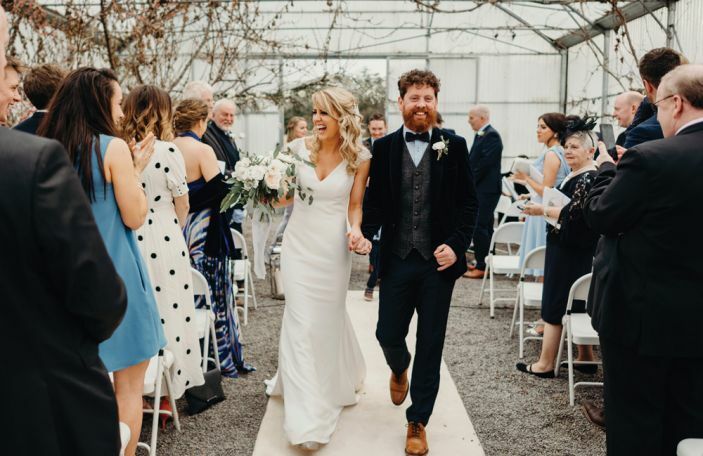 "As disheartening as it was, it meant we got to spend a lot more time with our guests that could attend. 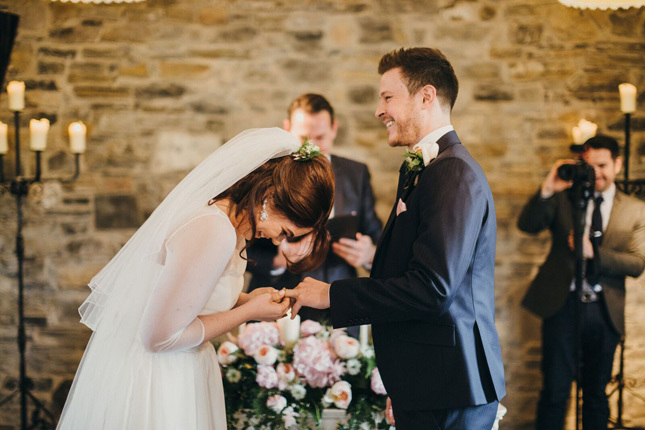 This was important to us because we truly appreciated the effort that they all made to be with us on our special day." 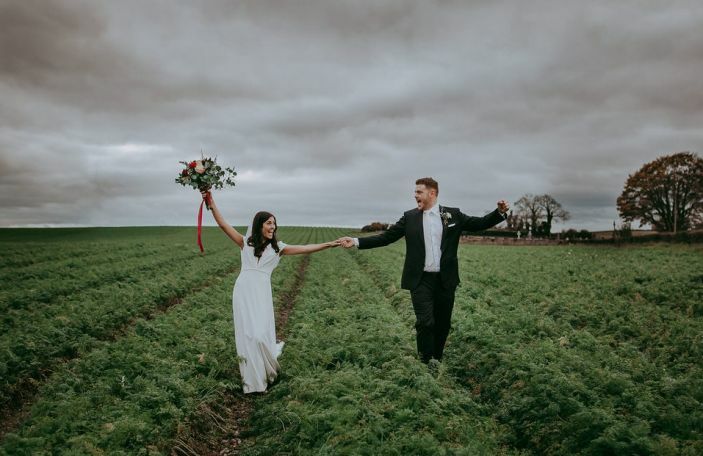 The couple battled the elements on their wedding day, with all four seasons colliding. 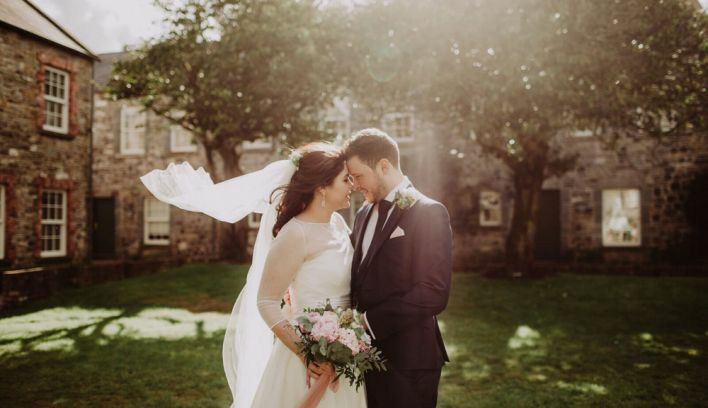 "We literally hail, rain, snow and then just as we were getting our photos taken, some perfect sunshine arrived. 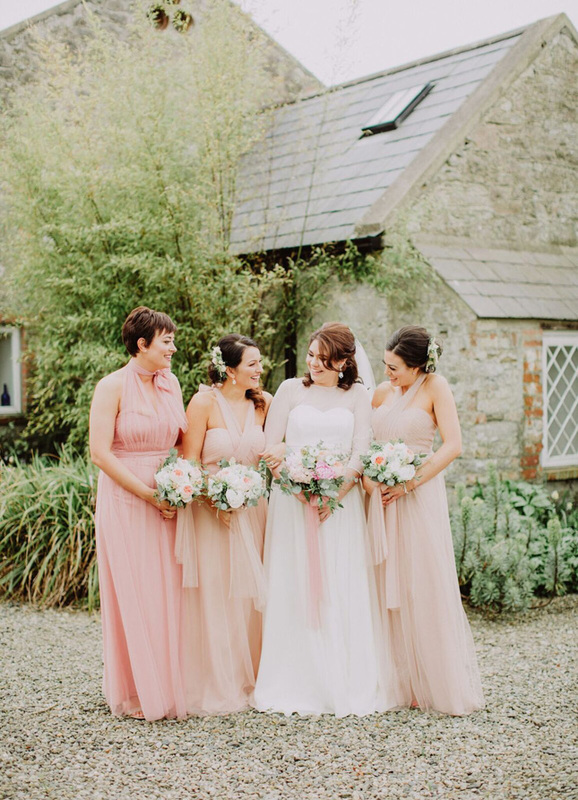 The staff at Ballmagarvey Village made all our guests feel very at home and everything ran like clockwork," Nadya remembers. 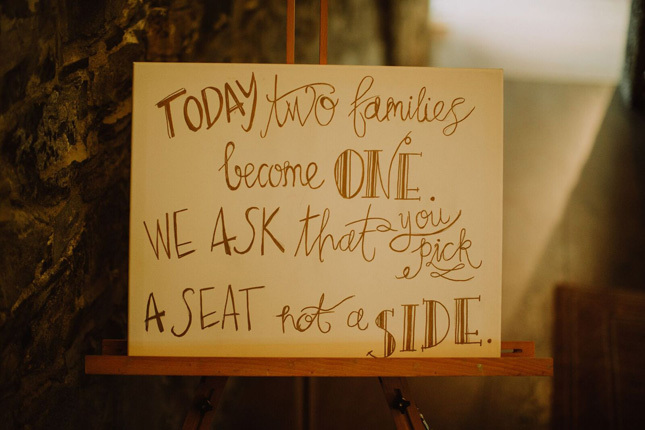 Their advice? 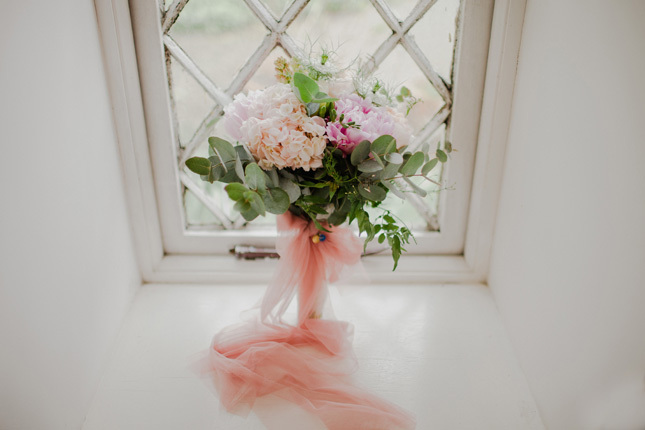 "As much as everyone wants their wedding day to be perfect - perfect flowers, dress etc, don’t be distracted from the purpose of the day. 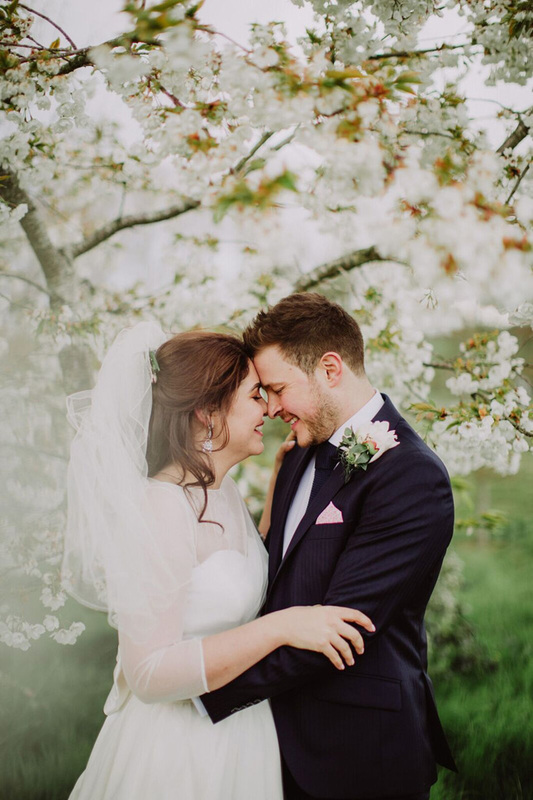 If you've just married the person that you want to spend the rest of your life with, nothing else matters."